April’s birthstone is the diamond! It’s the most popular gemstone used in jewellery. But here’s some more facts about this stunning stone you might not know. There are 3 factors needed to form diamonds. Carbon minerals, high temperatures and high pressure. All these can be found at depths of 140 - 190 kilometres in the Earth’s mantle. Once the diamonds are made at this depth, they are delivered to the Earth’s surface by volcanic eruptions. Diamonds can’t be dated, but it’s thought that most diamonds were formed between 1 - 3 billion years ago. Russia and Botswana are currently the top 2 producing countries of diamonds. The gemstone can come in several colours, such as red, pink, blue, yellow and green. When the colour is more saturated, the value is higher. Diamonds with intense colour are very rare and highly desired. Because of this, colour is sometimes added in a lab to create "colour treated diamonds". Of course, the clear diamond is the most common colour. Diamonds are the toughest gemstone, meaning they are extremely difficult to cut. The process requires specialist knowledge, equipment and techniques. The most common 3 cuts used in jewellery are the Round Brilliant Cut, the Princess Cut and the Marquise Cut. But the stone can be cut into many different shapes. 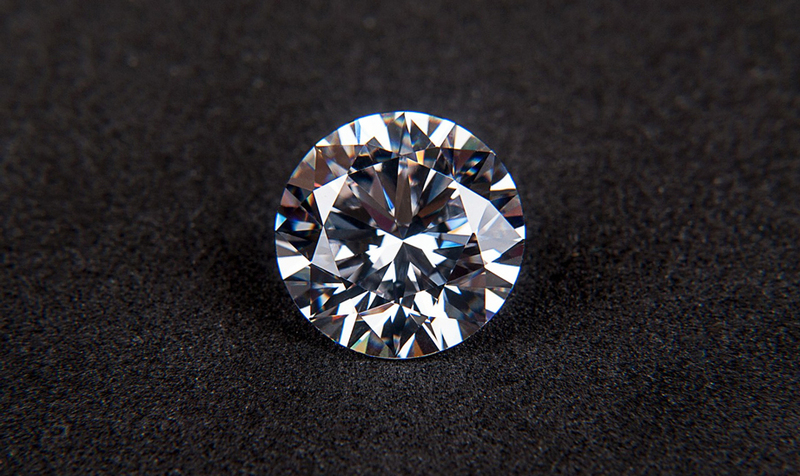 Ancient Greeks called the diamond "adamas", meaning “indestructible” and “untamed”. Because of this belief, warriors wore the gemstone. They thought diamonds would strengthen their muscles and make them invincible. It's said that diamonds bring calm and inner peace and improve the wearer’s energy. It fills negative spaces in a person with the purity of love. It’s also well known that diamonds are commonly the stone given as engagement rings. Goodnight - We'll be back at the same time tomorrow! Authorised and regulated by the Financial Conduct Authority for activities that fall within the scope of The FCA.